Have you noticed that once you reach adulthood, you start hearing the phrase ‘It’s too late’ very often? It’s too late to create a family, it’s too late to learn a language, it’s too late to start ballet… But, if you’re surrounded by the right people, you might also hear the inverse: don’t get hung up on your imperfections, better yourself every day, you can reach your dreams… And it’s true – many people take up new activities when they get older, and they don’t allow negative opinions to stop them. You just have to start with small things – just 15 minutes of ballet stretches per day will get you a long way. If you have already taken up dancing ballet, chances are, you’re already doing your stretches every day. But how can you benefit from them if you’re not a professional? Turns out ballet exercises for beginners might get you a long way! First of all it just gives you that wonderful feeling after the long day at work. We’re spending increasingly longer times sitting at our desks, so many people claim feeling stiff and tired, even without doing too much. Stretching for 10-15 minutes every day will make the stiffness go away. Better performance during your exercises. Fitness exercises usually involve some cooldown afterwards, but making it your daily routine will elongate your muscles and improve your performance. Better posture. Many people suffer from poor posture and back problems – no wonder, if our muscles are always locked in the same position. Just after a couple of weeks of some ballet stretches at home you’ll notice changes in your posture! Flexibility, obviously. 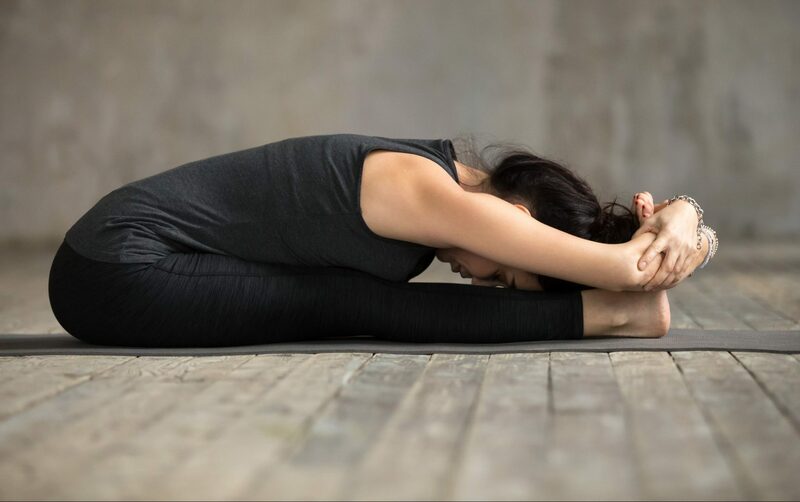 From feeling comfortable in your own body, to impressing people by easily touching your toes, flexibility is something many strive for. And you can achieve it rather easily! Warm up and elongate those hamstrings! Hamstring stretches are probably the most pleasurable of them all! But before we can give our hamstrings that “Aaahhh!” feeling, we simply must warm up at least a little before. Even if we are not ready to drop into splits, doing side lunges without warming up might damage your muscles or even tear them! Just five minutes of warm up are enough: walk around the block, do some sit-ups or put on some energetic music and dance! And after that, let’s get on with some basic ballet stretches. Parallel stance. Stand with your legs wide, feet parallel to each other, and bend down, holding your alternate elbows. If you find this too easy, touch the floor and try to reach for your alternate toes, crossing your arms. Straight legs. Sit down with your legs in front of you. Sit up tall, then hinge at your hips and lean forward towards your feet. Hold your belly in and try to keep your back as flat as possible. One leg in front. Kneel down with one of your legs out in front of you. With your hands touching the floor, bend over one leg, keeping your back straight. Make sure your other thigh is perpendicular to the floor! Hip openers are usually harder to do, but they feel great. It’s because there are at least some of over 20 muscles that cross our hips and decrease the overload of the spine and the lower back. Just try to dedicate a couple of minutes for these ballet stretches for flexibility and strength every day and soon you’ll notice the difference. Side lunge. You can stay at the same kneeling position, just lift your back knee and make sure your front shin is perpendicular to the floor. Keeping one of your hands on the ground, lift another hand up, gazing towards the ceiling. Butterfly pose. Sit down with your legs crossed, one feet in front of the other. Sit up tall and lean forward, crawling your hands in front of you. Try not to round your back. After 30 seconds of this, change the position so that the other foot is in front. You can finish it by doing a ‘real’ butterfly pose with your feet together. Just don’t hold on to your feet, turning them upwards! Side benders lengthen muscles in your sides, low back and even stiff neck muscles! It’s great to finish your routine of ballerina stretches with them – and continue your day (or go to bed) feeling taller and more flexible. Standing side. Stand up tall and lean towards one side, keeping your belly in, repeat on the other side. Gate pose. Kneeling down, extend one leg to the side. Lengthen up, and lean towards your straight leg, keeping your hand on the shin, extending your other arm up. Look up when doing this.